and PAX East 2015 Omegathon Winner! I am a software developer at Harmonix working on Rock Band VR, and I create my own games like Intern Astronaut with a small team under our group Broken Door Studio. From June 2016 to present I worked as a gameplay programmer on Rockband VR. Take on-the-job training to new heights! Intern Astronaut is an immersive virtual reality game for the GearVR and Oculus Rift that enrolls the player as an intern tasked to fly a secondhand spaceship. The configuration of the spaceship is new at the start of every game, so every attempt will feel like the first day on the job! I am the the one man programming team on Intern Astronaut, responsible for optimizing code and graphics to run on mobile VR, handling cross platform VR input, effects and lighting, spaceship generation and gameplay, and generally taking care of what explodes when. As a member of an indie team, I also wear many hats like, public speaker, PR person, and social media caretaker. Read about our win at the MassDigi Game Challenge in the Boston Globe. Hikari Hook is a game for the Oculus Rift and Razer Hydra controllers where you grapple through the trees of an ancient forest with dual lighthooks. By pointing and aiming with the Hydras, you can attach yourself to branches with beams of lights, and either swing form them or pull yourself towards a target. I was the project manager and a programmer for the team of WPI students who traveled to Japan for forteen weeks to complete this project in the Takemura Lab of Osaka University. 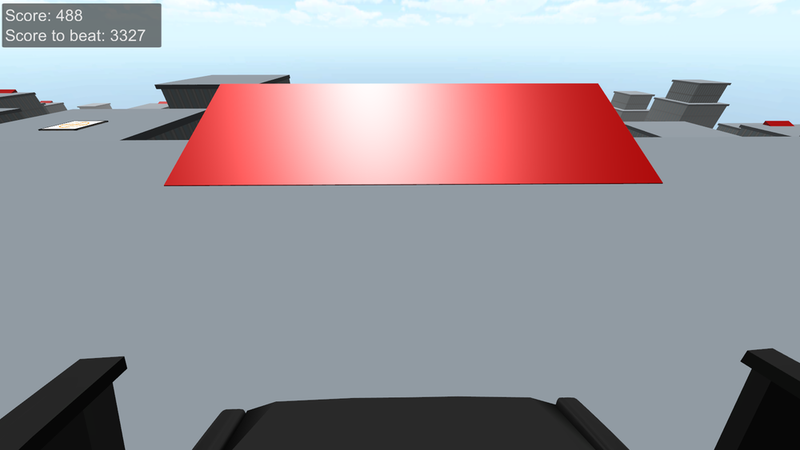 Coding for this project, I worked on the player controller and input system using c# in Unity. The theory behind our VR traversal system was that if we created a physically realistic system of in-air rotation for the player that eliminated jerk and limited acceleration, the player would be able to better anticipate and control their motion while flying, and feel more comfortable doing so. Whatever improvements we made to this system though, a significant number of players always found the movement discomforting. If we were to attempt to make a game with swinging mechanics again, we would keep the player's rotation constant, and design a game of smaller scope that worked with this fixed rotation, more of an endless runner and less of a complex platformer. Drinking virtual soda to improve lives! While working as a software engineer at Myomo I reached out to Soda Drinker Pro about creating a special version of their game to be played with our powered orthotic brace the MyoPro. I then used the software tools I created for Myomo to make a version of the game that connects to the Myopro over bluetooth and uses it as a controller. Now, to drink a virtual soda, you can use your real arm with the assistance of a Myopro! This is a great and relaxing experience for new Myopro users to train themselves on how to use the device in a fun environment full of positive feedback. I spent two summers working full time and two school years working part time as a software engineer making games for Myomo, a medical device company who makes the MyoPro, a powered orthotic brace for one's arm that uses EMG to read an impaired user's intent to move their arm and responds by moving their arm as they intend. For someone living with an impaired limb, the MyoPro is a great way to make their limbs functional again, and the games I made above focus on allowing users practice using the MyoPro and train them to find it useful in their daily lives. I worked in c++, c#, and Unity to make these games myself with assets from the Unity Asset store. This involved designing UI's for connecting the MyoPro to the game, AI's to play against in Backgammon, and the portable tools for making the MyoPro work with Unity. When I started on this project, Myomo had a c++ library for receiving streaming data from the MyoPro. I wanted to get this data into Unity's c# scripting environment so I could parse it and use it as input. To do this I wrote a Unity plugin with c++/c# interopability this that abstracts away the complexity of connection management and streaming data over bluetooth and gives Unity a nice set of prefabs for finding new Myopro braces over bluetooth, using braces as input, and controlling the mode of operation of connected braces. I wrote the c++ backend that handles device communication, parsing streaming data, and sending commands to the device, as well as the c# interop code for making this useful in Unity. Chair Simulator is a first person chair experience where turning your chair in real life turns your chair in the game. 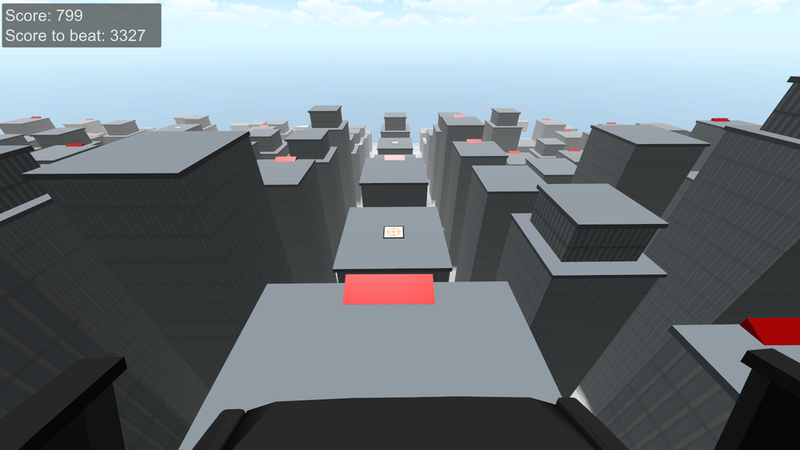 By turning to steer and leaning back in your chair to accelerate, you race across tops of skyscrapers to travel as far as you can for a high score! Chair Simulator features the Seat Cushion Controller, the only input device needed to play the game. All of the hardware for detecting the movement of the chair is contained inside the cushion and sent to the game over USB. Inside the cushion, a Wii-Motion+ gyroscope and force are read by an Arduino microcontroller which calculates chair's position and sends this data to the game made in Unity3D. I designed and programmed the Seat Cushion Controller, its communication with Unity3D, and its control in the game. My partner on the project created the procedural level generation, the soundtrack, and all 3D models. We completed this project in two weeks for the class Novel Interfaces for Interactive Environments at WPI. On this sample office chair sits the Seat Cushion Controller used to play Chair Simulator. The Seat Cushion Controller used in Chair Simulator has gone beyond what you see here! Check out my blog to see its latest developments!